Sturgis, South Dakota (May 28, 2013) – The world’s most renowned Southern Rock band, Lynyrd Skynyrd, returns to the Sturgis Buffalo Chip’s® Largest Music Festival in Motorcycling™ Thursday Aug 8, joining a large and still growing superstar lineup of artists who will perform during the Sturgis motorcycle rally. This American classic beefs up the 9 day concert lineup that already includes the Doobie Brothers, Kid Rock, ZZ Top, The Cult, Toby Keith, Rob Zombie, Brantley Gilbert, Halestorm, Mastodon, Machine Head, Queensrÿche, Sublime with Rome and many more to be announced soon. Festival dates are July 29 through Aug 11, 2013. Information and campground admission passes are available at www.BuffaloChip.Com. Passes for Thursday, Aug 8 and all summer music festival concerts and motorcycle rally information is available at www.buffalochip.com and (605) 347-9000. 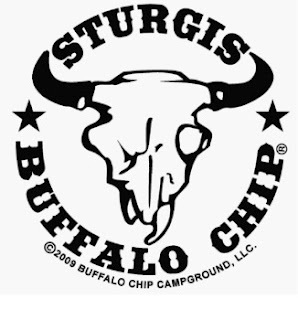 The 32nd annual Sturgis Buffalo Chip® motorcycle and music festival takes place July 29 through Aug 11, 2013 during the annual Sturgis motorcycle rally. Camping includes free access to all the concerts, clean facilities, the rally’s one and only Bikini Beach, multiple stages of live entertainment, enjoyable hang outs on 580 scenic, creek fed camping resort acres three miles east of Sturgis, SD.